​This RHS AGM variety is an early cropper and has yields of up to 20% more than other varieties. Now is the time to plant seeds for harvesting next spring. 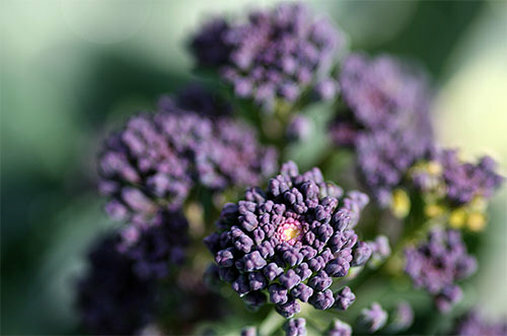 With its high vitamin content and anti-cancer agents, sprouting broccoli is a tasty, welcome late winter treat. It is easy to grow but needs plenty room for a relatively long period. Sow April/May for harvest late February/March and sometimes into April the following year. Fertile, well-drained, moisture-retentive soil. Full sun. Transplant seedlings when 10-15cm (4-6in) high. These and thinned, directly-sown broccoli should be planted 30cm (1ft) apart. Make sure they are planted deeply and firmly enough to support the weight of the plants when mature (if not, you may have to stake them in winter). Water fortnightly in dry periods. Cut spears when well formed and before flowers open. Cut the central spear first. Side shoots will then mature, which can be picked over four to six weeks.